WWJD? It’s One of the most well known Christian catchphrases of all time. You see it on t-shirts, bracelets, bumper stickers, and all sorts of trinkets available at the local Christian bookstore. But setting all that aside, at the heart of the question “What Would Jesus do?” is a profound and challenging line of thinking. Quite often our reaction to certain situations, our thoughts about a given hot topic of the day betrays more about our own level of comfort than it does truly reflect the way Jesus himself would act in the same situation. 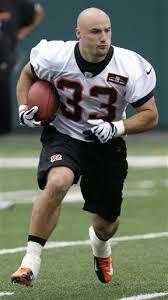 After a great college career at Nebraska, Burkhead was drafted in the 6th round of 2013. If we were to truly think through, consider and discover what Jesus would do, I expect we would be challenged and convicted to change the way we are living our lives. You see where we tend to judge, Jesus tends to love. Where we tend to stay comfortable and safe, Jesus would step out of “safe” and into the “mess” of serving others. In short, we could learn a lot by considering What Jesus Would Do. 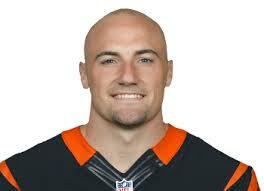 Living for God and striving to be Christ-like in all that he does is the challenge that Rex Burkhead has taken on himself and has chosen to share with is in this video from Fellowship of Christian Athletes. 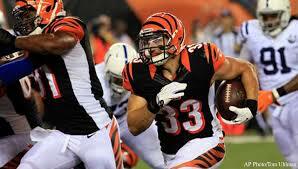 Here are some thoughts that I take away from Burkhead’s story. 1- What Would Jesus do? As I mentioned in the first paragraph, this thought became sort of a Christian catchphrase. But it is really a good habit to get into. Ask yourself as situations arise, what would Jesus do in the same situation. To learn this, we can take a careful look at the life of Jesus that we see in the Bible. How did he treat “sinners”, how did he treat “religious” types? How can we show love, compassion and a genuine concern for others through our actions? When is God calling us to leave our comfort and even our safety behind for the sake of showing someone else who He truly is? I am challenged to find the answer to “what would Jesus do” and pray that He will help me act accordingly. 2- God is all we need – Burkhead mentioned in the video and in a couple of the articles that he (and we) can tend to get into this sort of entitlement and bartering system with God. I’ve done this or that to share God’s love so he owes me, or so He will really bless me in this specific way that I want. The truth is that God doesn’t owe us anything. He doesn’t need to pad the deal so we will follow Him. He alone is our reward. He alone is all we need. If everything else is stripped away, He is still God and He is still deserving of our complete love and devotion. Living for Him is all the reward we need. He saved us from our sin and eternal damnation. We have no place to ask for anything more. We have no place to do anything by be filled with awe that He did this for us.